“They had imagination, they took the risk, they were ready to sacrifice their own interests for the greater good. Zoran, Alexis – well done! Mission impossible accomplished,” President of EU Council Donald Tusk tweeted. A majority of 153 lawmakers in the 300-seat chamber endorsed the deal, which should unlock North Macedonia’s NATO accession and help it open EU membership talks. 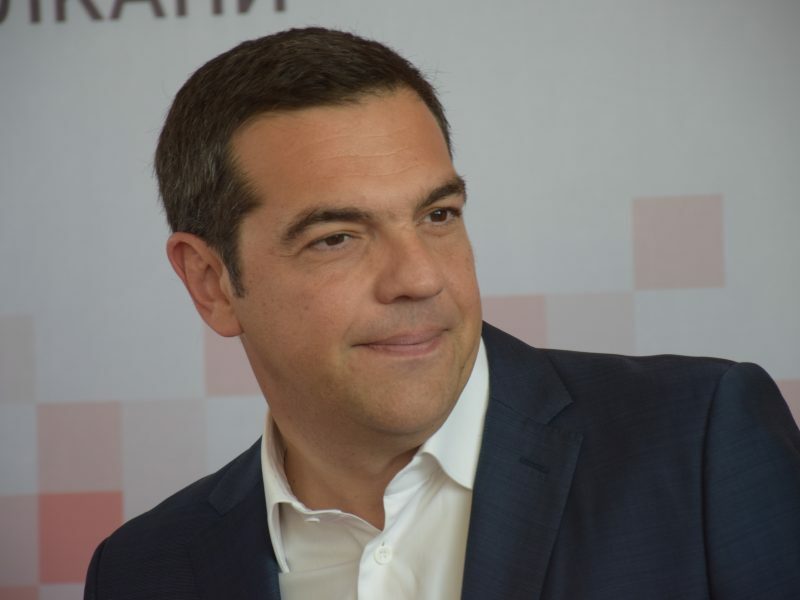 Several centre-left lawmakers supported Prime Minister Alexis Tsipras’ leftist Syriza party. In a joint statement, European Commission President Jean-Claude Juncker, Vice-President Federica Mogherini and Commissioner Johannes Hahn said the ratification of the Prespa agreement was a “crucial step”. 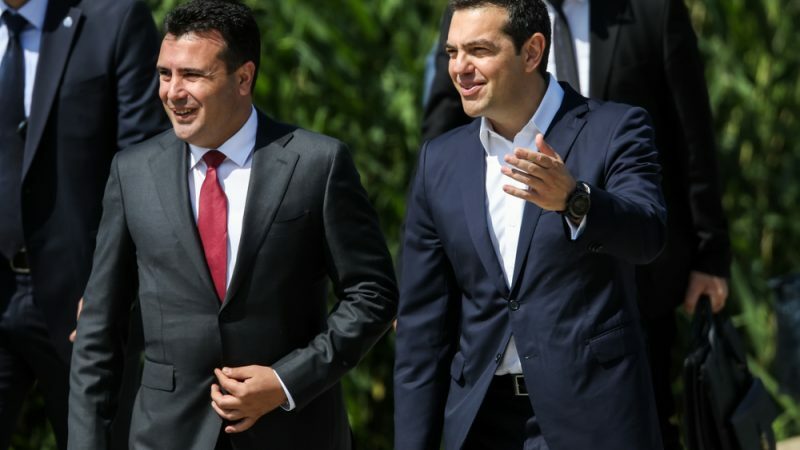 “While we look forward to the next procedural steps leading towards the full implementation of the agreement, we can already say with confidence today that Athens and Skopje have, together, written a new page of our common EU future,” they said. Tsipras said a new page was written for the Balkans. “The hatred of nationalisms, disputes and conflicts give way to friendship, peace and cooperation,” the leftist leader said. The groups of social democrats (S&D) and the Greens in the European Parliament issued statements in support of the agreement between Athens and Skopje. “The rest of the Western Balkans should take note of the work of the Greek and North Macedonian governments as a model for cooperation in the region,” said Philippe Lamberts, President of the Greens/EFA group in the European Parliament. “Now we will finally be able to say: Welcome to the Republic of North Macedonia,” S&D Group president Udo Bullmann said. Bullmann added that the Prespa Agreement was proof that progressive political forces are “able to solve long-standing disagreements and make difficult compromises which nationalists or conservatives had not been able to do in almost three decades”. The party of Zoran Zaev, the prime minister of North Macedonia, is part of the European socialist family. However, despite his close ties with the socialists, Tsipras’ Syriza party officially belongs to the European Left. The EU socialists’ sister party in Greece is the Pan-Hellenic Socialist Movement (Pasok), which voted against the Prespa Agreement. In his statement, Bullmann made a veiled criticism of his Greek colleagues in Athens. “I praise all Greek parliamentarians who voted for the change of the name of their neighbouring country to North Macedonia. They proved that the future of their country and good neighbourly relations are more important than short-term gains in polls,” Bullmann said. In the meantime, Kyriakos Mitsotakis, leader of the main opposition party, centre-right New Democracy (affiliated to the European People’s Party-EPP), said he would effort to mitigate the negative consequences that will surely result from what he said was a problematic agreement. “Today is a tough, sad day for Greece,” Mitsotakis said, adding that his country will never lose the right to veto Skopje’s accession to the EU. The EPP has not issued any statement by the time of this article’s publication. The article appears to overstate the leftist contributions. In reality Bulgarian center-right government has at least as much contributed, as Greece and Macedonia.